Highlights of the Charlotte Christmas Bird Count. I am done with the local Christmas Bird Counts. I've done three, with two coastal counts to go. The results of the local counts tell us that there are a lot of semi-hardy species that are lingering in the southern piedmont this early winter. This is not unusual in years where temperatures are relatively warm through the count period. 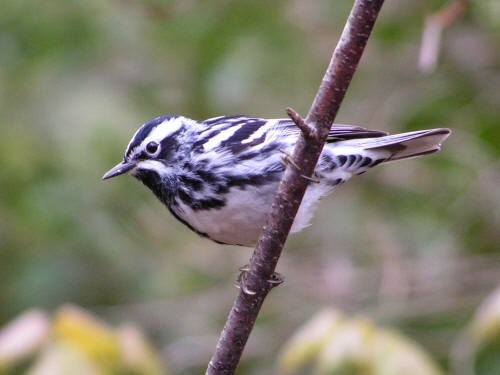 Some examples of this phenomenon are the presence of black and white warblers on both the Southern Lake Norman and Charlotte counts. 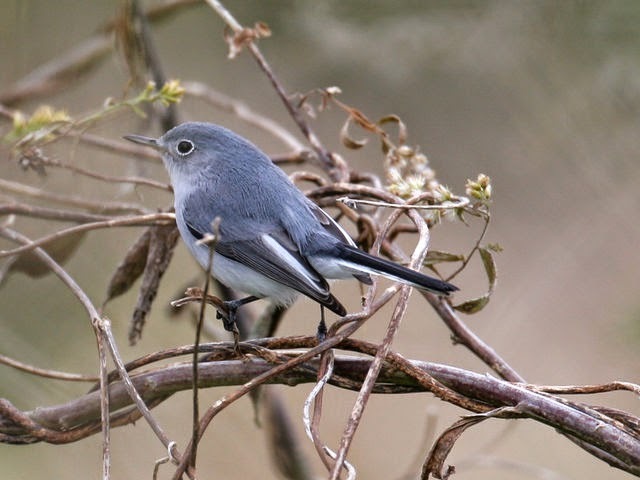 Blue-gray gnatcatchers were found on both the Gastonia and Charlotte counts. A lingering ruby-throated hummingbird in Charlotte is very unusual. All of these species would normally be well to our east or south by now. And as a bonus, I visited a home where eight Baltimore orioles are gobbling up grape jelly daily. 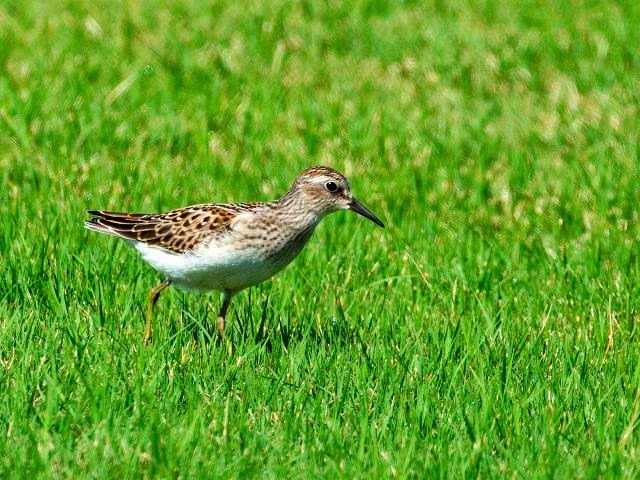 Least sandpipers are a species you might expect to be on a coastal count rather than a piedmont one. But this species is a regular winterer at a local wastewater treatment plant. 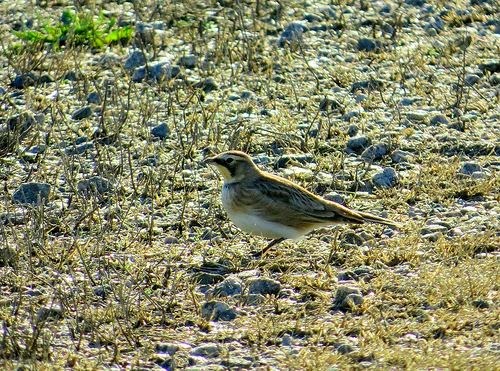 Horned larks are tough to find in Mecklenburg County. They are birds of extensive open country, often with little or no vegetation. note the rocky substrate this bird is foraging in. This ruby-throated hummingbird is an extremely rare bird for us in the winter. It is ironic that one is present in Charlotte this year, when the more expected rufous hummingbird is virtually absent. 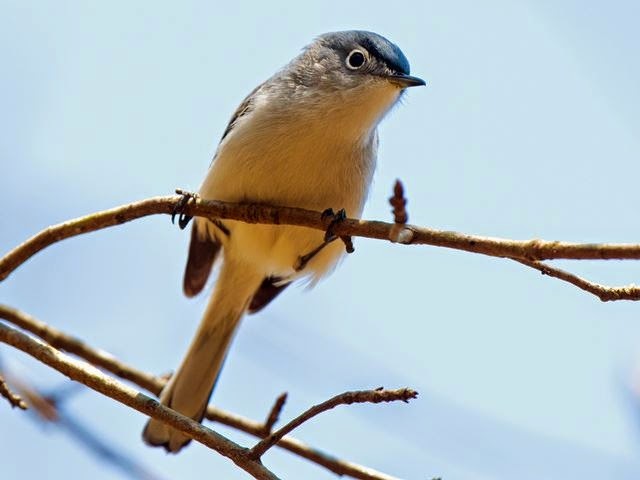 Blue-gray gnatcatchers linger in warmer winters. They were found this year at Gastonia and Charlotte. 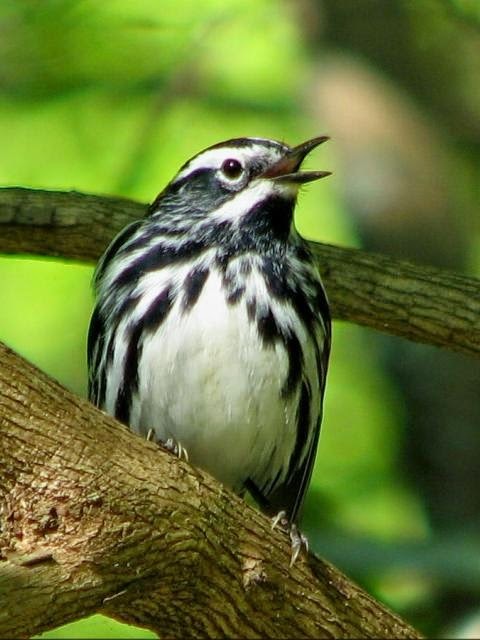 Like gnatcatchers, black and white warblers linger in mild winters. These warblers creep along tree trunks and branches, gleaning invertebrate material from the crevices. Since they don't glean food from greenery they can survive the winter weather here. This species was found at Charlotte and Southern Lake Norman. Baltimore orioles are infrequent feeder visitors in the southern piedmont, but established flocks sometimes develop. Eight birds are currently at a home in southeast Charlotte. Baltimore Oriole by Phil Fowler. Last Saturday I covered the Rankin Lake / Gastonia Technology Parkway section for the Gastonia Christmas Bird Count. It was a cold morning with a steady drizzle for most of the early morning but that didn't seem to cut down on the bird activity. I was getting birds by dawn, with a calling great horned owl and a displaying American woodcock. A surprise pre-dawn encounter with a striped skunk ended in a negotiated truce (actually I totally caved in to it's demands) which allowed me to continue on for the rest of the day. Highlights for my day included a cooperative sedge wren, a blue-gray gnatcatcher, and a nice adult bald eagle. I ended up with 57 species for about nine hours of birding. Next up: Charlotte Christmas Bird Count on December 27th. This sedge wren was photographed last year at the exact same spot where I found one this year. It is likely the same bird that I saw last year. Sedge wrens are rare anytime in the piedmont, even more so in the winter. Like sedge wrens, blue-gray gnatcatchers are rare in winter in the piedmont. they are very common migrants and breeders within our area. 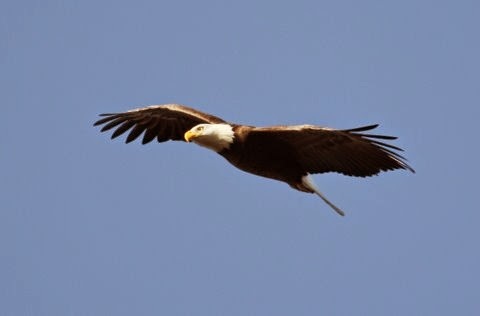 Bald eagles are increasing in the piedmont. They have been found nesting well within the city limits of municipalities within the region. Red-throated loons are common at the coast but are rare inland. This bird is in winter plumage. 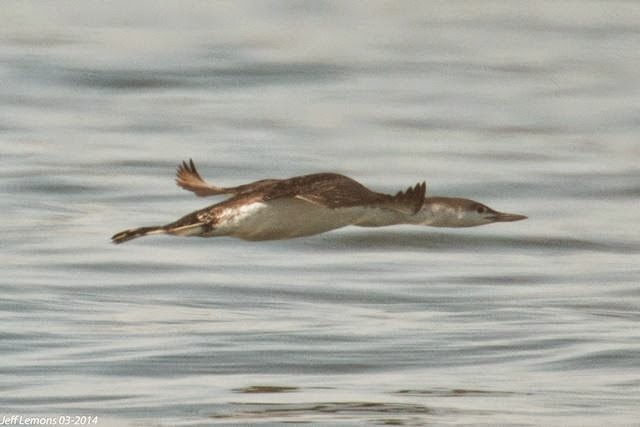 One red-throated loon showed up at Lake Norman. Red-necked grebes are rare winter visitors to North Carolina. 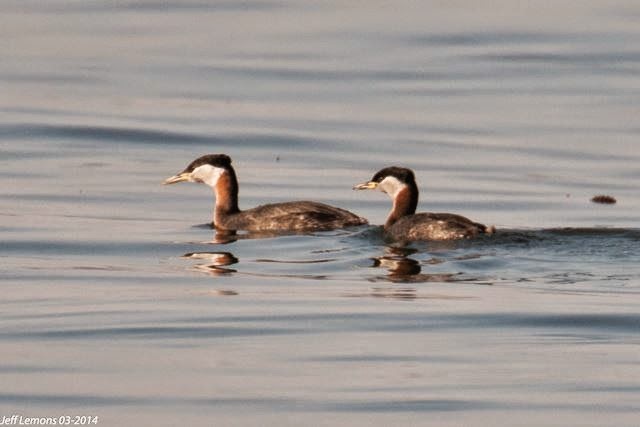 A single red-necked grebe was found on Lake Norman. American wigeon are tough to find in Mecklenburg County. It had been a few years since I had seen one here.The male is on the left with a female on the right. 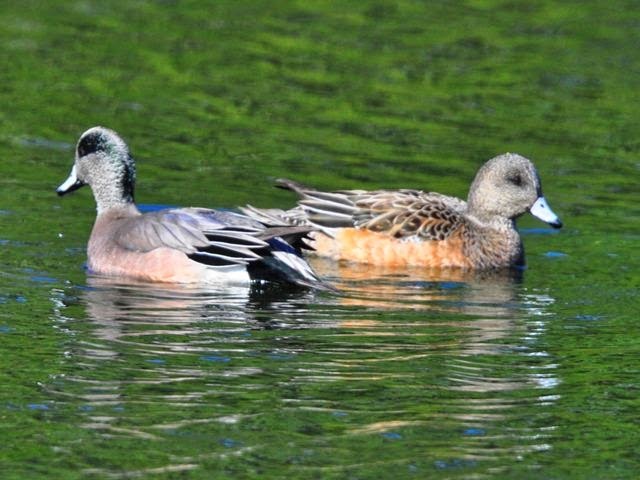 A male wigeon was found at the Cowan's Ford Dam. 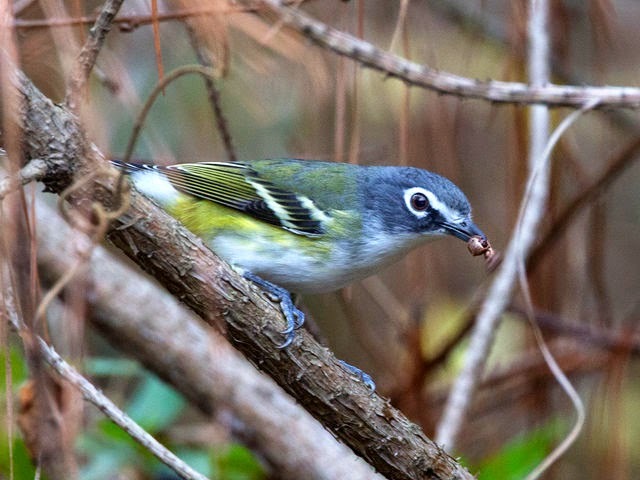 Blue-headed vireos are occasional here in the winter. I find them in mixed flocks of feeding passerines. this year one was found at the Davidson College cross country trails. Black and white warblers are pretty rare in the winter piedmont. one showed up in huntersville this year. 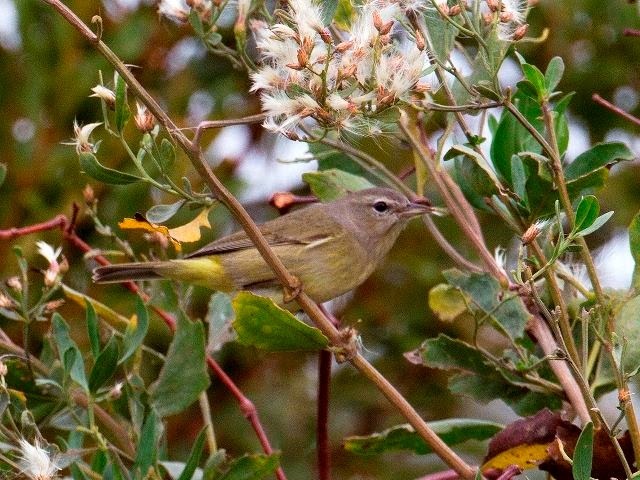 Orange-crowned warblers are more common at the coast but some linger into early winter here. One was found at Birkdale Golf Course. Common yellowtroats brighten up any winter brush pile, especially the brighter males. A male was found at Cowan's Ford Refuge. Loggerhead shrike numbers have crashed throughout their range in the last few decades. formally a fairly common nester in Mecklenburg, they are all but gone now. One found near Wallace Farms is probably the only one in the county right now, and was a complete surprise on Sunday. I received banding information on the banded American oystercatcher I mentioned in a previous post. The bird was banded as a chick on June 13, 2014 at Masonboro Island, just south of Wrightsville Beach, North Carolina. During the summer it was re-sighted five times; all from the same location. On November 29th my birding group sighted it about 40 miles to the south at Saucepan Creek behind the west end of Holden Beach. That’s about 40 miles of coastline, not straight-shot. This oystercatcher would have moved along the immediate coast line. So the bird is not a big wanderer, at least not yet. It’s young, having just left it’s nesting grounds within the last couple of months. I plan to keep checking the site at low tide through the winter to seeif they bird stays or moves on. Maybe some other banded birds will show up as the winter progresses. This bird was banded as a chick in June 2014 at Masonboro Island, NC. It was re-sighted in November about 40 miles away. For thousands of birders world-wide, Christmas begins this Sunday December fourteenth. That is the opening day of The National Audubon Society’s Christmas Bird Count period which runs each year from that date through January fifth. During those three weeks, birders will take to the field for a full day of counting birds and collecting bird population and distribution data. It is the longest running citizen science program; this year marks the one-hundred fifteenth anniversary of the Count. Participants fan out within a fifteen mile diameter circle from a predetermined center to census all the species that they encounter. Over the years, the data has proven valuable for researchers studying changes in populations and population shifts. In North Carolina, forty-one counts have been scheduled this season, with eighteen already set in South Carolina. By the time the period is over, over fifty counts will have been conducted in North Carolina and close to thirty in South Carolina. This isn’t a casual stroll through the woods and fields looking at birds. This is an intensive effort where the mission is to FIND birds. That means getting off trail, walking through thickets, wading through marshes and swamps, getting in the field before sun up and staying after sun down. The Count goes on rain or shine, cold or warm, wind or calm. I have done all-day counts in the freezing rain, deep snow, and single digit wind chills. This is serious business. I will participate in five Christmas Counts this year; Southern Lake Norman on the fourteenth, Gastonia on the twentieth, Charlotte on the twenty-seventh, Wilmington on January third, and Southport / Bald Head Island on January fourth. There are some other area counts of interest as well; York/Rock Hill on December twentieth, Catawba Valley on December thirtieth, and Pee Dee Refuge on January third. What’s the payoff? 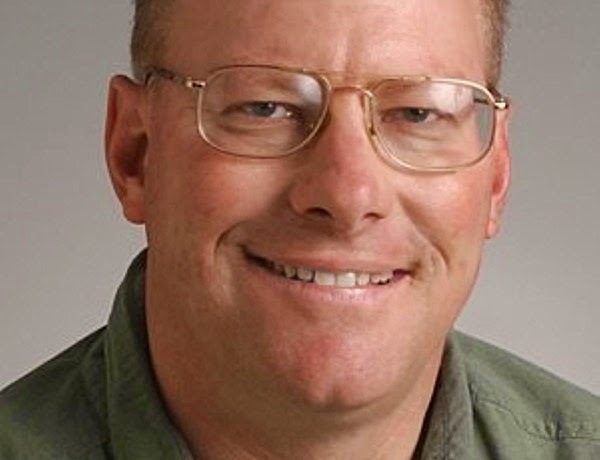 I get to spend all day birding with other enthusiastic birders, I will see lots of good birds, there’s the potential to find a real local or state rarity, I know the data collected will go into a database that is constantly being tapped, and there is a free tally up supper at the end of each day. I spent the Thanksgiving holiday week at the beach, Ocean Isle Beach to be exact. I took full advantage of the change in venue and birds by doing a good bit of birding once the rain stopped midweek. On Saturday November twenty-ninth five other birders joined me for a day of birding the area. 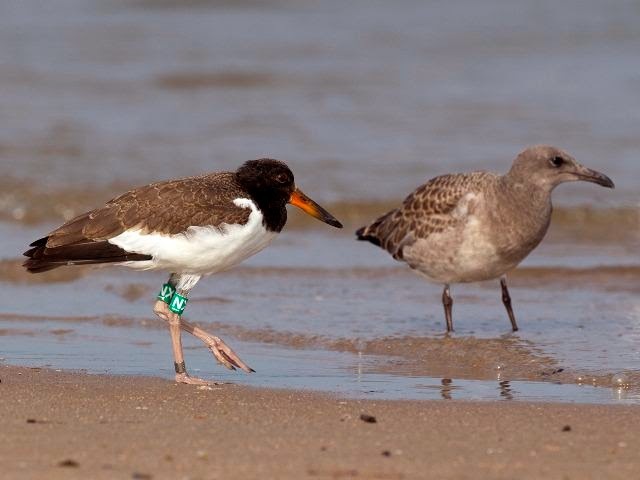 One thing I always check for is leg bands on certain species like American oystercatchers and piping plovers. I didn’t see any piping plovers but did encounter a nice flock of fifteen oystercatchers in Saucepan Creek; with one individual sporting some green leg bands with a readable code on each. American oystercatchers catch the attention of birders and non-birders alike. They are large birds that have strong contrasting black, brown, and white plumage. The most prominent feature however is the bright red bill and bright red eye ring of the adults. The American oystercatcher has been identified as one of several shorebird species where the population is low enough as to warrant special attention. In 2001 the American Oystercatcher Working Group was formed to gather information on the species and to come up with management plans. One initiative was to establish a banding program that has greatly increased knowledge of the species’ migration movements and wintering sites. With binoculars or scopes, the codes on the bands can be seen and reported to an online database. Within a few days a report is sent back to the observer letting them know where the bird was originally banded and locations of other re-sightings, if any. By reporting re-sightings, even the casual birder can contribute to the knowledge of where important migration stop-over spots are, as well as important wintering areas. The Working Group can them come up with conservation strategies to help these favorite beach birds out. I reported the banded bird from Saucepan Creek and the band code of “CJO”. You can just make out the band code on the accompanying photo that was taken at some distance. This appears to be a young bird as evidenced by the dark portions of the bill, different from the bright red bill that adults show. As of this writing I have not received a report of where this bird was banded or where else it has been spotted. I will let you know when I hear something. Here is the subject bird of today's blog. It was taken at some distance, but with the aid of a scope the band code was able to be seen. Note on all the birds below that the bands are all the same color green. This indicates all were hatched and banded in North Carolina. Each state has its own unique band color and scheme. The photo below shows another young banded bird from Wrightsville Beach area of NC. 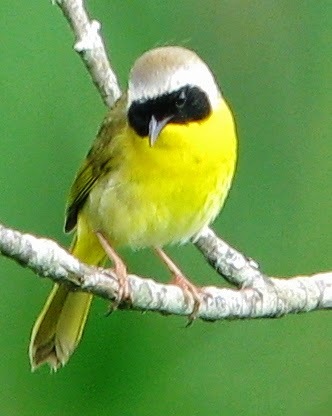 Note the dark tip to the bill indicating a 1st year bird. The bird on the right is a juvenile laughing gull. The photo below shows an adult banded oystercatcher from Cape Hatteras. Note the adult has a completely red bill and prominent red eye ring.